Sterling Silver Hammered Slave Bangle, a Perfect Gift. 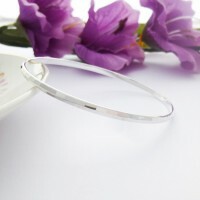 A gorgeous hammered silver slave bangle that looks lovely on the wrist and is simply charming. 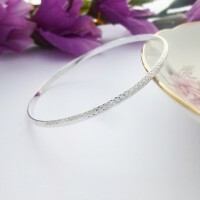 The silver hammered slave bangle is a perfect gift for a special birthday or to give to your loved one on Christmas day. 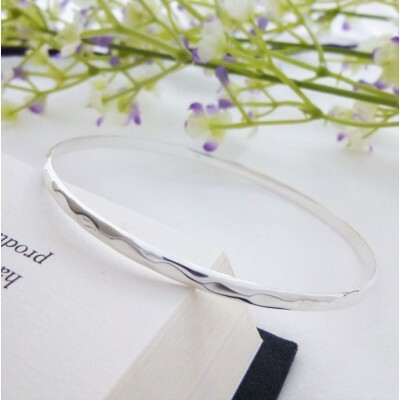 A delightful and charming sterling silver hammered slave bangle that is simply gorgeous. 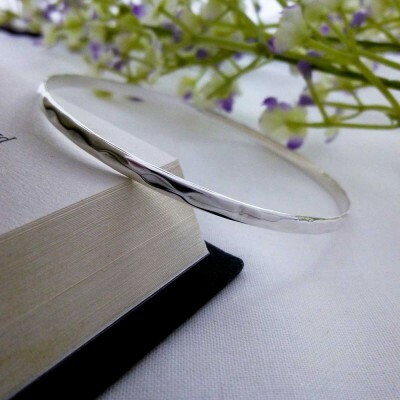 The Christelle Hammered Slave Bangle is a lovely bangle that would make a wonderful gift on a special birthday or to give to your loved one on Valentine's day. 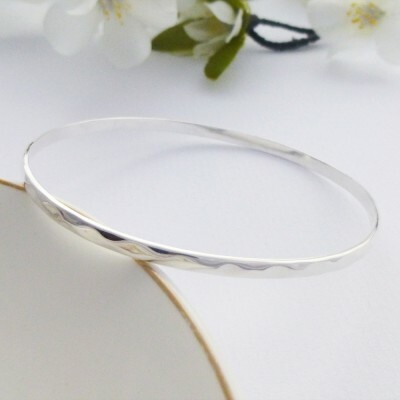 This sterling silver slave bangle looks fabulous on its own, or if you would like to create a more unique look, then you can stack other pretty slave bangles with this fabulous hammered slave bangle. The Christelle Hammered Silver Slave Bangle is sophisticated and elegant. All women love jewellery and this is a silver bangle that would be a welcomed addition to your loved ones jewellery collection. 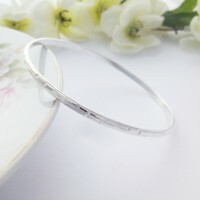 The Plain Silver Slave Bangle measures approximately 4mm wide. The diameter of this bangle measures approximately 65mm.